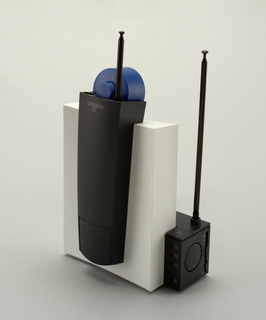 See more objects with the tag numbers, antenna, cellular, personal electronic. 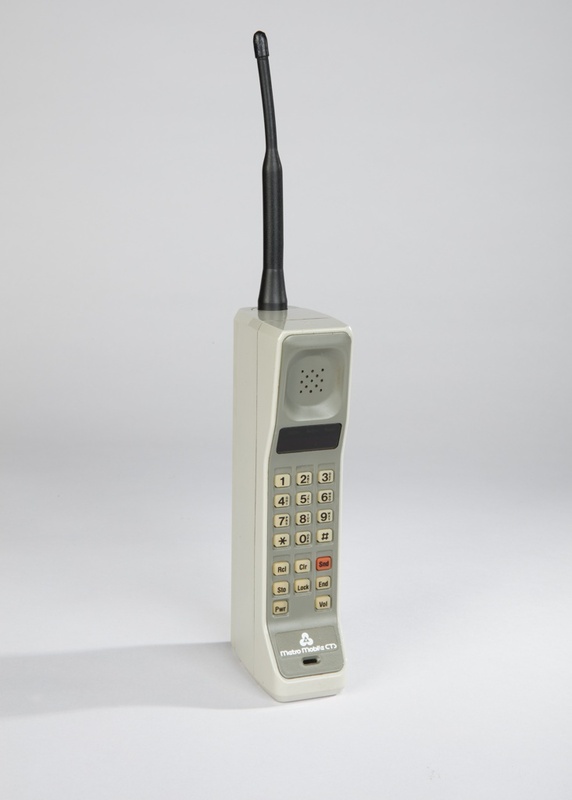 This is a Mobile Phone. It was designed by Donald Linder. It is dated 1983 and we acquired it in 2017. Its medium is molded plastic, electronic components. It is a part of the Product Design and Decorative Arts department. 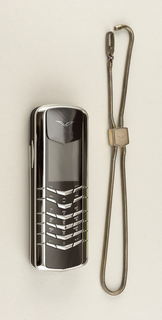 First developed as a prototype by Motorola in 1973, the DynaTAC 8000x was the first commercially available handheld cellular phone, released ten years later. 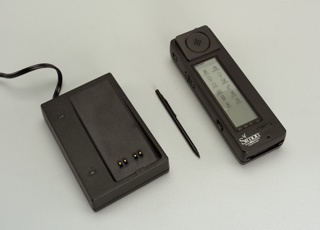 Motorola’s engineering team invested $100 million in the development of the phone alongside a high capacity system to carry the calls. 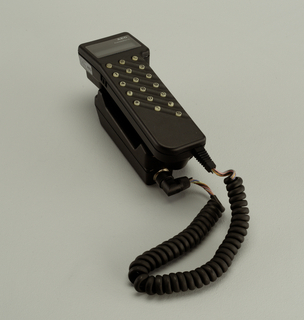 Known as “the brick,” the phone comprised thirty circuit boards, facilitated a talk-time of thirty-five minutes, required ten hours to recharge, and sold for $3,995.